This is an unusual review because it’s not just about Louis CK’s performance last night in Jerusalem (TLDR: he was frikkin hilarious) but also a bit about me. 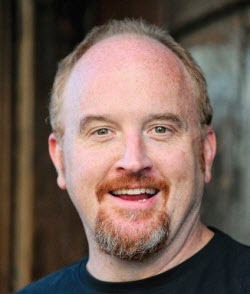 Louis CK is a bit of a hero to me, and its also a bit strange because apparently I look like him. A lot. I mean to the point that people are constantly either coming up to me and telling me I look like him or they actually think I’m him. In the US it’s out of control. Everywhere I go people look at me and give me that look like “Hey, its you! You’re someone famous!” and I kinda look back apologetically and tell them, no, sorry to disappoint you but I’m not him. 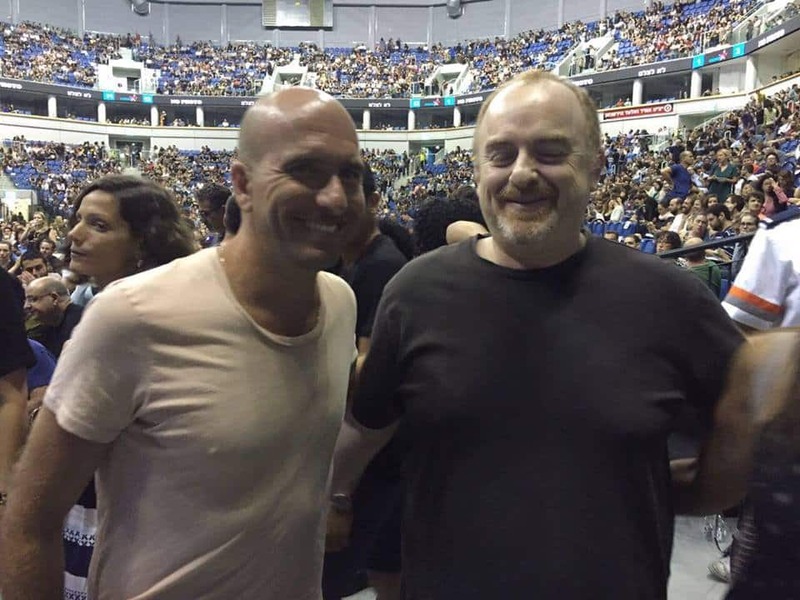 So when I found out he was coming to Israel I was thrilled, for the usual reasons – BDSFail, get to see him live, but also because I’m a little curious about this doppelgänger thing and how far it will go where there are 10,000 people who obviously know who he is and admire the guy. Assi Cohen and Jono. Or is that Assi and Lous CK? I went with my wife and another couple – some close friends of ours. We started the evening having dinner at a nice restaurant in Jerusalem, and I was getting confused looks all night. 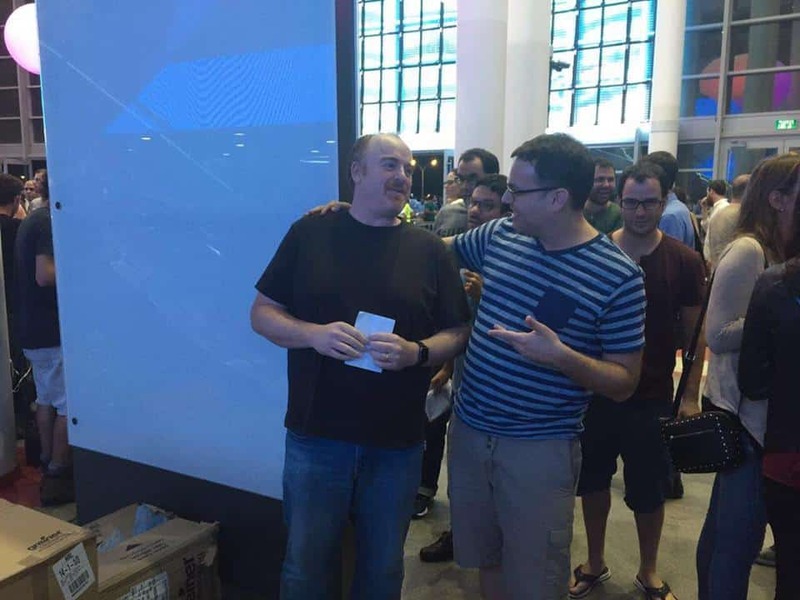 Looks like “Hey, isn’t that him? But how can that be, he is supposed to be on stage right now” (there was an early show and a late show; we had tickets for the late show). But the timing was such that it was possible he had just finished his first show and had taken off for a couple of hours to get a bite to eat. Sitting next to us at the restaurant was the Israeli comedian/actor Assi Cohen and his whole entourage, and we could hear that they were also going to the show and were also pretty much convinced I was him. But they played it cool. So did we. At about 9:30pm we arrived at the arena and, as I got closer, the looks of recognition were on just about everyone’s faces. Amazing. 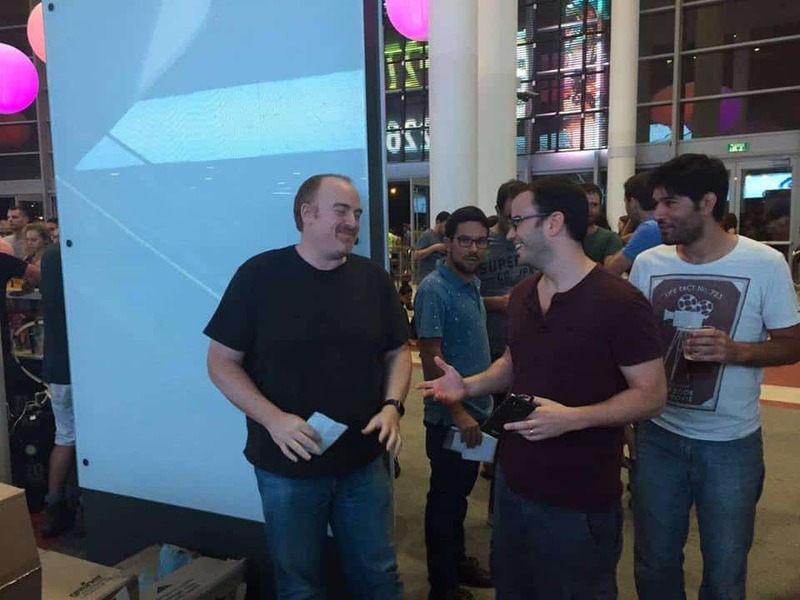 They were convinced I was him. 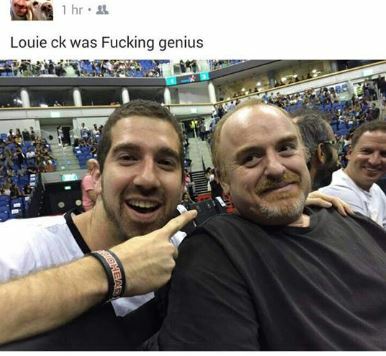 I was Louis CK wandering around outside the arena between shows. Maybe to catch a breath of fresh air. Everyone was pretty much convinced. People came up to me and I had to tell them that I just look like him. Many of them wanted selfies. It was nuts. I now know what its like to be a celeb. It’s not very pleasant. My wife was watching people watching me and she said its amazing how they all look at you, and then look away when you make eye contact, but that EVERYONE was staring. It’s not a comfortable experience. So anyway, the show…. As you entered the arena there were signs everywhere telling people that anyone taking pictures, video, recording the audio will be swiftly ejected. Also no heckling. Big signs were telling people “Don’t be a douche”. At about 11pm, three opening comedians warmed up the audience with about 10 minutes each – Joe Machi, Rachel Feinstein and Joe List. Especially Joe Machi, who I remember from one of the seasons of “Last Comic Standing” – the season where Roseanne Barr was a judge. Rachel Feinstein was also excellent. Finally at about 11:30pm, Louis took to the stage. He was absolutely hilarious from start to finish. 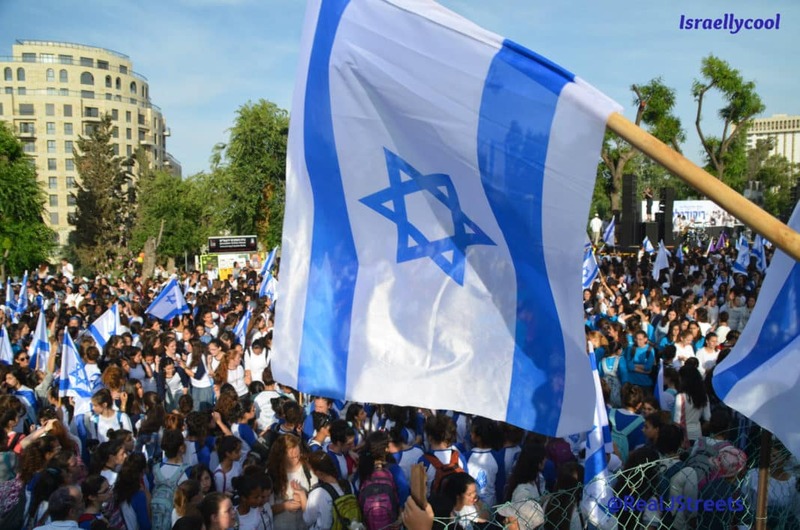 He started with some words about how people were mad at him for coming to Israel (he said something along the lines of “If I was going to not play every country that had ever inflicted harm on anyone, I wouldn’t play in the US.” He spoke of his day touring around Jerusalem, which he described as being as crazy as people had warned him. He also told us that he had hesitated about some of the jokes that are in his act because he thought maybe they’re not appropriate for this audience, but that he was going to just go and do them anyway. Presumably he was talking about the couple of jokes about ISIS beheadings (you might be surprised at how funny he can be about beheadings), and perhaps some of the stuff about Jesus. His show was a little over an hour – he told some jokes that make you think (ever wondered how people referred the date in the year 3 B.C. and why the whole world starts counting years from the birth of Jesus whether they’re Christians, Jews, Muslims, Pagans or Buddhists, while everything before that is counted backwards? ), some that were pretty disgusting and shocking (let me just say he fellated his microphone), and some that were perfect observations of how people are just strange creatures (my favorite was his impersonation of a man actually acting himself on a first date). All was gut-splittingly funny. My face ached from smiling and laughing after the show. There were some poignant moments that were perhaps only so because of the fact the show was taking place in Jerusalem (when he remarked about Jesus being nailed to a cross, he suddenly realized “about 20 minutes from here!”) At the end, he told the audience some family history – how his grandfather was a Hungarian Jew who pretended to be a Catholic to marry his Mexican Catholic grandmother, and how his father was brought up Catholic (and uncircumcised) but then converted to Judaism when Louis was a kid. This included a hysterical, physical bit of a person metamorphosing into a Jew and Louis commenting on how he had waited all year to do that bit here. After a little over an hour he left the stage to a standing ovation and it genuinely looked like he was moved by the audience’s response to the show. As I left the building, it was already quite clear I wasn’t HIM, and the feeling of being a celeb subsided. All in all a fantastically entertaining show and a hugely fun night out. 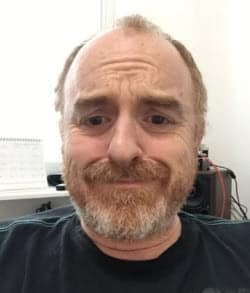 And I’m available for weddings and Bar Mitzvahs if you need a Louis CK impersonator.